Members of Anakbayan and the National Union of Students of the Philippines were allegedly being hunted down by members of the military after a certain “Ka Ruben” claimed their support to the communist rebels. The Philippine National Police presented on Monday an alleged returnee named “Ka Ruben” who claimed students from state-run University of the Philippines and Polytechnic University of the Philippines are being recruited to the National People’s Army. Hours later, the NUSP and Anakbayan-PUP made separate statements on Facebook about a supposed crackdown against their members. 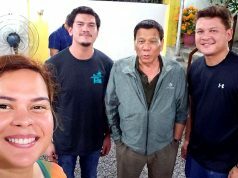 The NUSP posted that members of the Armed Forces of the Philippines were looking for its leader at his residence in the province of Rizal around 7 p.m. on December 14. The group said that this was similar to PNP’s sketchy search of UP Student Regent Ivy Taroma last September 2018. Three policemen reportedly went to UP-Diliman to look for Taroma without disclosing their reasons. Meanwhile, a member of Anakbayan-PUP was purportedly harassed through text messages. The organizations are currently conducting an internal probe on these claims. This development is the latest in PNP’s allegation on the involvement of schools and their students with the leftist group. 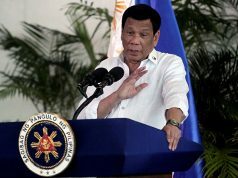 In October of last year, the PNP and the AFP tagged schools in Metro Manila suspected of being part of a big ouster plot against President Rodrigo Duterte called “Red October.” The officials asserted that the scheme will take place that month but nothing of the sort transpired. This January, the police also reportedly attempted to profile teachers who are members of the Alliance of Concerned Teachers or ACT, an organization the military perceives to be linked to communists. 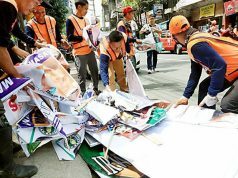 This move was also slammed as an invasion of privacy and described as similar to a “tokhang list,” where barangay officials were forced to list names of alleged drug suspects. Sarah Elago of Kabataan Partylist said that the accusations on teachers and students are tactics of suppression against educational institutions that are critical of the administration’s policies. “Now, it’s the students they want to attack, this is just another tyrannical measure by the Duterte administration and used by the PNP and AFP to suppress schools who are first in airing their protest against the drug war killings, rising prices of goods, and self-serving charter change and the universities that protest policies that are against the well-being of Filipino citizens,” Elago said in a radio interview. 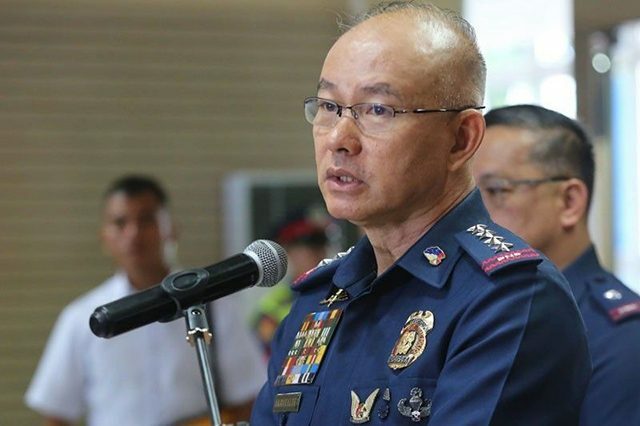 The PNP told reporters that students from UP and PUP were “periodically visiting” places in Barangay San Antonio in the municipality of Kalayaan in Laguna to give supplies to local terrorists at least twice or thrice a week. These people were members of the Communist Party of the Philippines-New People’s Army Terrorists or CNTs. This information came from “Ka Ruben,” a man covered with a black face mask, whom the police introduced as a former rebel. “There were students who said they were studying and came to live with us. Six or seven students would come up at a time,” he said in the press conference. “Some would be recruited, they’d be visited in their homes. If they’re young women, they’d be courted. And if they don’t agree, they [the rebels] would use coercion,” he added. Law enforcers did not divulge any other information about “Ka Ruben,” making his assertions a challenge to verify.